Cabo Pulmo National Park's history tells the story of a community that joined forces to rescue a region from neglect and exploitation. Of the many natural wonders located on Mexico’s Baja California peninsula, few are more spectacular than Cabo Pulmo National Park. 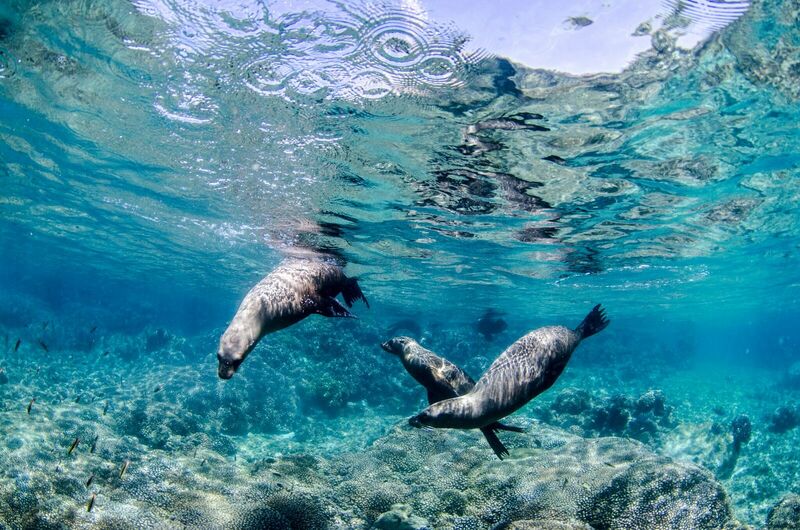 Located 60 miles north of Los Cabos, this sprawling marine reserve is populated by amazing indigenous wildlife and features stunning seaside landscapes. The history of Cabo Pulmo National Park shows a community coming to together to rescue the region from neglect and pollution. Local activism and government action brought Cabo Pulmo back from the brink and have transformed it into one of the most pristine natural destinations in all of Mexico today. In this guide, our regional experts here at Cabo Adventures discuss Cabo Pulmo National Park — its history, hotspots, and many other highlights — and provide information on our award-winning tours available for travelers looking to explore this one-of-a-kind national park. The region known as Cabo Pulmo is a fertile stretch of seaside land in Baja California, Mexico. Today, Cabo Pulmo is a protected national park known for its spectacular views, abundant wildlife, and ideal oceanic climate. However, things always weren’t so serene in this magical part of the world. Cabo Pulmo has a long history of human involvement — some of it positive, much of it destructive. The town of Cabo Pulmo was founded in the eighteenth century by settlers harvesting mother of pearl. Eventually, the mother of pearl market became overexploited, and settlers began commercial fishing. While this sustained settlers for well over 100 years, overfishing soon became a problem and the once rich and healthy waters around Cabo Pulmo began to deteriorate. The region’s coral reef (the oldest of only three coral reefs on the west coast of North America) was significantly damaged from fishing and pollution due to the nearby town’s growing size. In the early 1980’s, a group of conscientious locals from the Autonomous University of Baja California Sur began to study the effects of human activity on the region around Cabo Pulmo. They quickly found that overfishing and pollution had markedly degraded the region’s ocean ecosystem — a conclusion that many townspeople were beginning to draw as well. Together, people from the town and the nearby university lobbied the Mexican government to declare the region around Cabo Pulmo a protected area. 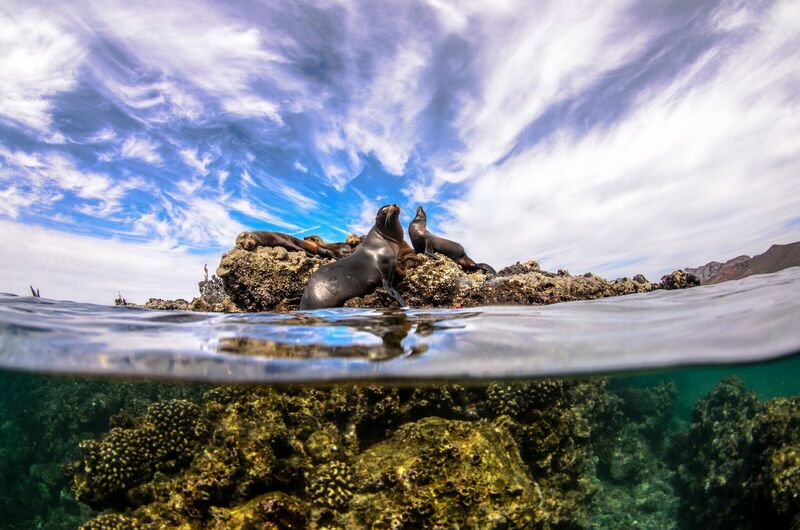 On June 6, 1995, the current President of Mexico, Mr. Ernesto Zedillo Ponce de León, declared the waters of Cabo Pulmo as a National Marine Park. Today, the waters around Cabo Pulmo are a far cry from what they were for most of the 20th and 19th centuries. The conservation efforts of Cabo Pulmo’s local activists, and its subsequent status as a National Marine Park (1995), UNESCO World Heritage Site (2005), and Ramsar Wetland of International Importance (2008), have rescued the region from the brink and allowed it to flourish for several decades. The results have been nothing short of miraculous. Since scientists began studying the region’s biomass (total mass of lifeforms in a given area) nearly two decades ago, their findings have charted an unprecedented 465% percent in growth in under 20 years. This speaks to the incredible usefulness of conversation and regional protection in helping to foster an area’s ecosystem — and Cabo Pulmo is the best example of conservation anywhere, land or sea. Cabo Pulmo National Park has the largest increase in biomass observed by scientists in any protected area. Cabo Pulmo National Park is a national marine park located on the southeast coast of Mexico’s Baja California Peninsula. The park itself spans the distance between Pulmo Point and Los Frailes Cape, approximately 100 kilometers (62 miles) north of Cabo San Lucas on the Gulf of California side of the peninsula. In total protected area, Cabo Pulmo National Park is 71.11 square kilometers (27.46 square miles) in size. The park is home to a wide range of marine life that inhabits its coral reef — the oldest of only three coral reefs on the west coast of North America. The reef at Cabo Pulmo has several “fingers” of coral atop rock formations that grow and run parallel to the coast, each occurring in progressively deep waters offshore. These fingers harbor an incredibly diverse range of marine life ranging from microscopic plankton to apex predators such as sharks. Cabo Pulmo is one of the most scenic and awe-inspiring marine locations in all of Mexico. Whether you’re exploring underwater or setting sail on top of it, you’ll find that there is no shortage of things to do and see in this one-of-a-kind national park. By far the most exciting activities offered in Cabo Pulmo are snorkeling and scuba diving. These give travelers the chance to experience the park’s coral reef and many marine animals up close. Visitors to the park can also enjoy sailing sea kayaking, paddleboarding, hiking, and a host of activities on the park’s many beaches. The town of Cabo Pulmo also offers many cultural experiences, including dining, music, museums, and much more. Looking to get the most out of your visit to Cabo Pulmo National Park? Our award-winning tour team at Cabo Adventures is here to help. We proudly offer some of the region’s top tours — including our popular Cabo Pulmo Snorkeling Expedition and Cabo Pulmo Diving Tour, each led by our expert diving guides. To learn more about these and other great Cabo Pulmo tours offered here at Cabo Adventures, contact our team today!